We are a HUGE fan of Facebook LIVE Video. From the time I first saw someone Go LIVE on facebook, I knew that this was going to be big! When it was first available, facebook only gave the option to go LIVE to certain personalities and verified accounts. This service is now available to anyone with a smartphone and internet access. Of course, not everyone has discovered the Power of going LIVE yet. I think it is the future and it is my goal to continue to learn more and increase exposure for our clients through this new service of facebook. We were excited to see periscope when it first launched. Unfortunately, being a Android user, I had to wait for the app to become available. It initially was only available on the Apple IOS devices.As soon as I was able to get the app, I experimented with periscope. I was unable to get a lot of people to watch it. It was to see the views, but I wasn’t getting enough to invest a lot of time in the app. In my opinion facebook LIVE is a much better service than periscope. Since it works on the facebook platform, it seems to do much better on the pages. Using the successful fb pages for our clients, we have seen a BIG HIT very quick. One of the coolest features we discovered was being able to embed facebook LIVE videos on websites. 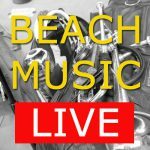 I built a website to feature LIVE Videos of Beach Music Concerts in the area. Check out BeachMusicLive.com and browse some of the early videos I posted from Band of Oz, Blackwater Rhythm and Blues Band, Jim Quick & Coastline. The videos we recorded at the Carolina Beach Music Festival in June reached hundreds of thousands of beach music fans over a 7 day period. I really do appreciate the feedback and excitement expressed to me from the comments on these videos. Please keep liking them, sharing them and leaving comments. I know the bands and venues appreciate the reach and exposure they are getting through these LIVE Videos that we are posting. Changes at Facebook – Researched and Resolved! Within the last week (starting June 22nd, 2016), I noticed changes in the LIVE service. Specifically the facebook embed tool. Facebook has made a tool available to embed videos on websites, but LIVE videos recorded after June 22nd were affected in a way that was preventing them from showing up. It took me about a week to research this topic and I finally figured out how to get it to work like it was before facebook made their changes. Just when you think you have figured how to do things, facebook changes it up! If you have questions about facebook LIVE, use the comments form below and I will do my best to answer your questions based on my experience over the last few weeks of using the service. I’m not familiar with Periscope. I have limited knowledge or Facebook Live. I’ve posted a few videos there. I’m wondering if I’ve posted them using FB live. I don’t know. If I may make a suggestion. You provide a website address. You might want to consider making it a direct link so all someone has to do is click it rather than copy and paste it. You shouldn’t have had to copy and paste the link address. The image and url are both linked to the website for BeachMusicLIVE Website. Hi, Bo the web guy Facebook live is quite fascinating to me. The music videos on Facebook of Shakers in Calabash are very good. I was just wondering. Is Facebook live hard to work with? Was periscope easier to work with? What one had better tools? Is there a limit on how many videos you can create? 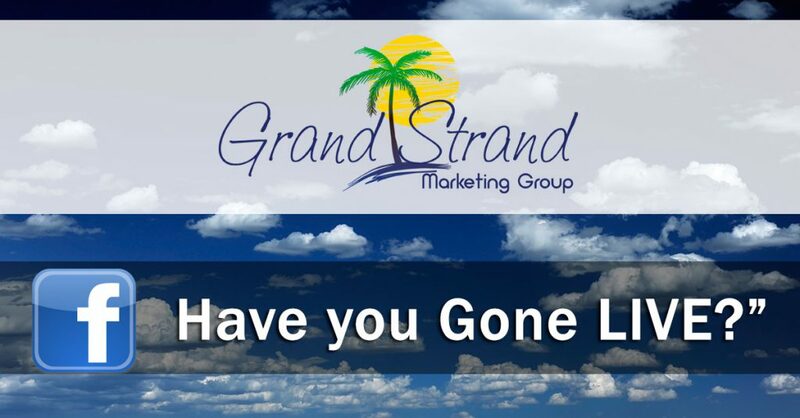 I ask because it sounds like a great marketing tool. I don’t think facebook LIVE is hard at all. Two things to consider, if you are recording a live event, the speaker locations could affect your audio recording. Also, having a steady hand is desired. Viewers are more forgiving on LIVE Video and typically appreciate the experience no matter the expertise of the videographer.. Periscope was relatively easy, you just had to have a twitter account along with setting up the periscope account. Getting viewers is easier for me on facebook. To my knowledge, there is no limit on number of videos or space. Facebook seems to be endless. The best thing about doing LIVE is that the video is there and you don’t have to upload it later. . It can be a great marketing tool for any business. People LOVE Video. Great information. I have never heard of FB Live before. Is it a software that is embedded into facebook? I just always uploaded videos that I recorded. Is there a way to be recording and playing it live for people that rune in at a certain time? I would love to know how this works. 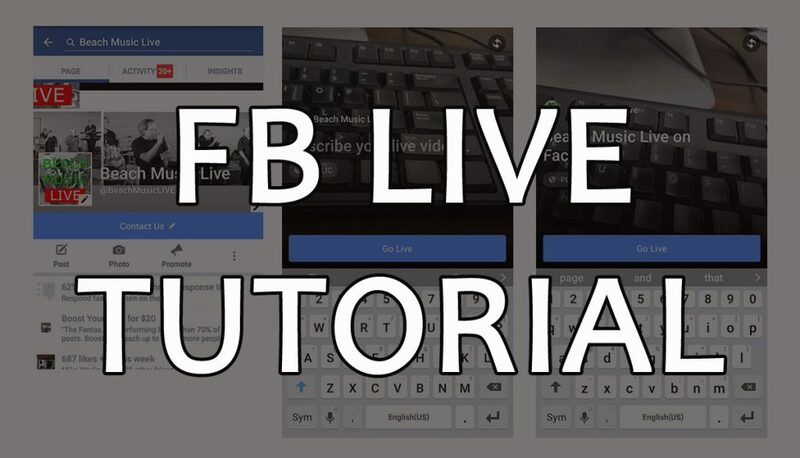 Anyone can do facebook LIVE with a smartphone or tablet and good internet connection. It is available through the facebook app for your device. It is available free on android and iphone. I recommend going posting the status through your facebook page and not your personal profile. This gives you more insight in to what is going on with the video. You can measure reach and shares if you post from page. You can go LIVE anytime, if you want to announce that you are going LIVE at a later time, you may have a better chance to grab viewers. It really depends on your followers and when they are logged into to facebook. If they are subscribed to your notifications, they will get a notice that you are LIVE. Once posted, it is available for replay anytime unless you delete it. I’m right with you on the periscope thing. I remember when it first came out, it seemed like that’s all I was hearing about. I remember getting all these tweets and texts about how people are going on periscope and I need to watch right now! It’s a cool service, but I just found it limiting. I’ll be very interested to check out Facebook Live and see if I get better results. Thanks for calling it to my attention. You are welcome Mike. It can really get a lot of exposure if you have a following. Agreed, people love video. It is a great medium for consuming content. With Facebook users being currently estimated at around 1.6 billion, Facebook Live is undoubtedly a great way for reaching a new audience. Having used both Facebook Live and Periscope, in your opinion, what are the main differences between the two? Iâ€™m more of a twitter user and hence am more biased towards Periscope. I just wish that the videos could be saved for more than 24 hours, which is why Iâ€™m looking to try out Facebook Live. Thanks for a great post. Having the videos saved and automatically available on facebook is the key difference. I used Katch before it went out of business to save periscope videos, but it still didn’t get the exposure I am getting on facebook.. If you have facebook set to update your twitter page, then you can should be able to achieve the twitter alerts that you were getting from periscope. Facebook live is indeed an awesome feature. It allows us to get exposed and make BETTER connections with the people. It proves transparency. Once I got everything in place I will be doing it as well. Thanks Winny! You are right.. when someone goes live, it shows a REAL Person. It is exciting to see my videos reach thousands of people.